Clint Anderson has 20 years of experience in insurance consulting, specializing in reducing employers’ total cost of risk. At his previous regional brokerage, Anderson grew his book of business to nearly $10 million before moving over to HUB in 2016. 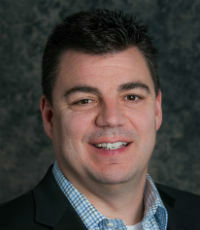 Anderson joined HUB as president of its specialty practice, splittling his time between the company’s Chicago and Dallas offices. His main focus at HUB is building out the contingent workforce space globally. Within the last 18 months, his team has written $5.8 million worth of annualized revenues.